Our team of passionate experts is here for you! 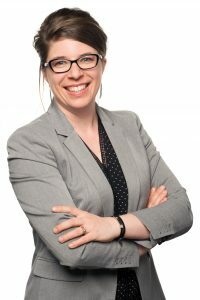 Nadine Brassard has been the Director and International Commissioner at SERDEX since 2009. She is ambitious in her career and in her personal life. 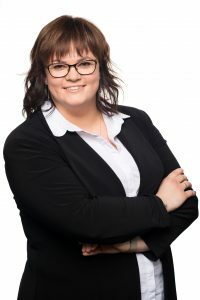 She has worked in the export industry for more than 10 years, and has accompanied dozens of small and medium-sized businesses in the Saguenay–Lac-Saint-Jean region operating in the following trades: customs and logistics, international marketing strategies, market penetration strategy, non-payment risk, customer verification and much more. Nadine holds a Master of Public Administration and a Bachelor of Business Administration. She specializes in marketing and management but also has extensive knowledge of the export process. She lectures on topics relating to export and provides individual and group training sessions in the field of customs and logistics. Not only does Nadine have excellent international event management skills, she has also led several trade missions to many countries including Austria, Germany, Italy, France, the United States and Canada. Her human approach to business and her ability to put businesses first make her a specialist in her domain. Nadine possesses all the necessary skills to power SMEs internationally. 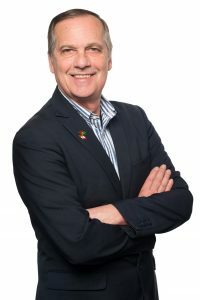 Christian Gravel holds a Bachelor in Marketing and a Master in Management and was the sales and marketing director of a major retail chain for more than ten years. Caribbean, South and Central America and West Africa. Christian has extensive experience in international marketing and management. He has accompanied Canadian companies and foreign businesses through the process of preparing and implementing business plans, marketing and development plans in both local and international markets. Christian joined the Serdex International team in 2012 with the goal of developing and implementing Hélico, our business support program. Since then, dozens of companies have benefited from this program through tailored assistance while preparing for their launch into international markets. Gabrielle Ouellet-Duval holds a Bachelor of Administration with a concentration in international trade. She joined the SERDEX International team in 2017. Her first mandate was as an intern, and she participated in the development of the Sell and Ship Internationally toolkit. She has collaborated on various other projects within our organization. She later took on the role of Assistant International Commissioner, responsible for digital strategy, as a permanent employee. Since then, Gabrielle has participated in the development of various projects, including NATURALLIA 2017, webinars and export forms. More specifically, she is responsible for managing the organization’s social networks and our website, while coordinating events and various publications. Her assiduousness and ingenuity serve her in her role as manager and consultant for the various projects taken on by SERDEX International. 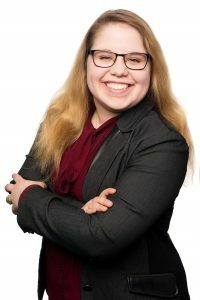 As someone who is passionate about foreign cultures and international trade, Gabrielle ensures that our varied programs will meet the needs of exporters in the Saguenay–Lac-Saint-Jean region. Maryline Simard has a Master’s degree in Environmental and Occupational Health from the University of Montreal (M. Sc.) and also a Specialized Graduate Diploma from the School of commercial High Studies (HEC) of Montreal. Member of the Ordre des administrateurs Agréés du Québec (Adm.A. ), she was responsible for the deployment of multiple intersectional and multidisciplinary projects in health and sustainable development and has also been the executive director of a donor agency. Passionate about the international, Marilyne Simard has also worked as a consultant in international development and volunteer consultant for capacity building in project management in West Africa and in Maghreb. Joining the SERDEX International team recently as a consultant to exportations and research, she will be able to give members the benefit of her analytical capacity and her ability to synthesize different market information. Having an open mind on the world, Marilyne will help SMEs to find solutions adapted to their business reality.